Delicate yet bold, simple yet busy, striking yet understated - these all describe this wonderful Bougainvillea hanging basket. At 28", it's big enough to fill any space. But the soft white blooms and cascading green leaves combine to please the eye with their low-key beauty. 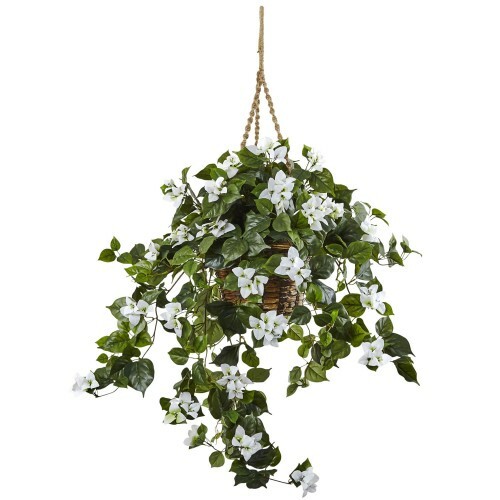 Completing the picture is the decorative hanging basket. The best part is it'll stay looking fresh for year, without care or water. Makes a fine gift too. H: 7 In. W: 10.5 In. D: 10.5 In.